When we are focused on pursuing meaningful goals, it is easier to push back on the unrelenting wave of cynics crashing across our path. It’s amazing to me the number of people I have come across who do not appear to put any thought or action into their lives. They float about, rudderless, just drifting with the tide and changing winds. They react, occasionally, to events thrust before them – but they seldom, if ever, act on purpose. Then there is the ambitious but discontented lot. The people who know they can get more out of life, but don’t know how to begin. They may have walked along the wet sand and dampened their bare feet to test the waters, but they have not yet committed to the personal changes they need to make. Those not accustomed to planning their success can find the odds overwhelming. They are in constant danger of being swamped by the unrelenting negative waves of don’t, followed by can’t, followed by shouldn’t. Is it any wonder that so few learn and practice the skills required for standing upright and persevering? I contend that more people must find the strength and discipline to focus on improvement, wherever improvements can be made. We do not need to accept mediocrity and poor leadership, either in ourselves or others. We can begin to treasure the gifts we have been given. The lessons contained in these pages offer a way. If applied regularly, you will notice that step-by-step, you are able to turn the tide. Not much in your life gets achieved without beginning as a goal. Yes, happenstance can play a role, and serendipity adds flavor. But it is the goal, the steadfast, thought through determination that leads to accomplishment. Well-spent hours build into days, into months, into years, into a lifetime filled with high achievement. We are blessed because we intuitively know when we’ve discovered a compelling goal. Our pulse quickens, and adrenaline pulls us toward it with an astonishing force. Once, on a late December morning, I decided to stroll along Nauset Beach, one of the most breathtaking stretches of sand to be found on Cape Cod. The late-year wind was cold but refreshing. 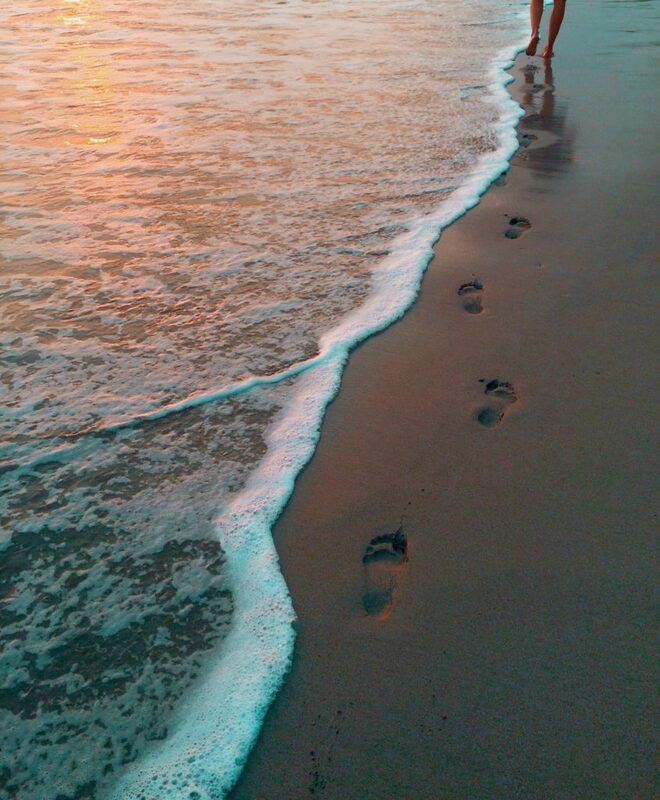 As I strolled along the shoreline, I occasionally glanced over my shoulder to spy my solitary footprints in the sand. I was walking without purpose at first, just trying to clear the fog in my head. At the time I was uncomfortably conscious of the fact that I wasn’t sure if the tide was coming in or going out. I picked up my pace and then almost immediately found myself sprinting. I heard the hard sand crunching beneath my shoes and felt the biting coastal New England wind cutting across my face. To my dismay, the object turned out to be a large piece of unexciting driftwood. As I disappointedly circled the lackluster discovery, I was also relieved to confirm it was not the carcass of a hapless marine animal. When I turned around, I abruptly confronted my earlier solitary set of footprints, still intact. Looking down the long stretch of beach I could tell that at first, they meandered, gently brushing the surface, then they straightened and dug deeper into the sand at the point I decided to investigate the washed up wood. It was then I realized that the tide was indeed going out and my steps would be preserved a few hours more. I decided to follow them as a path to return to my car in the parking lot. It didn’t take long before I noticed that I wasn’t matching my footprints step for step. At first, I weaved back and forth over my original route, but ultimately my new steps were coursing closer to the water’s edge. Yes, the tide was receding, but the tracks I left made it appear as if I were pushing back the ocean. This was a very interesting experience for me, analogous to the pursuit of goals and life itself. The mark we leave on the earth is indeed temporary, but it may be longer lasting than we think. You may choose to meander through the day without purpose if you’d like, but when you pick a goal that you can see, you can’t help but race for it. Once you reach your destination, make the time to reflect and to see how far you’ve come. Although you may want to retrace your steps, you won’t be able to match them exactly because the conditions have changed as new goals present themselves. And you will find yourself if only fleetingly, pushing back the ocean. What a beautiful experience and with contemplation, a wonderfully empowering gift. I once worked for a fortune 500 company that had a division committed to continuous learning. That was an oddity for a conservative white-shirted firm, but in time this experimental learning organization grew into a two billion dollar juggernaut. 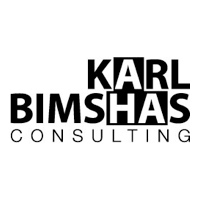 Sadly, as often happens in large corporations when fresh success is pitted against the status quo, this outstanding organization began to be picked apart by an unenlightened and apprehensive headquarters through mergers, consolidations and a type of management gentrifying. It was before the administrative pruning that I was first exposed to two-time Olympic Pentathlete, Marilyn King’s “Olympian Thinking,” a formula I adopted immediately and have attempted to live up to ever since. If only the company that sponsored her talk had done the same, it might have been able to avoid losing half a decade caught in a panic mode of fighting to survive and instead been in a growth mode, learning how to thrive. If you search the world for the regular, the uninspired and the tiresome you will find yourself joining many others in an r.u.t. Most can only see what they look for. If you can modify your thinking, you can realize much more. To achieve exceptional performance, you need the magical combination of vision, passion, and action. Vision is what you imagine and think about. What you see in your mind. Worriers see failure. High achievers only see success. Passion is what stirs you forward. Those who routinely accomplish goals have a burning desire to complete their mission. It is what gets them up in the morning and keeps them up late into the night. Action is the execution of your plan. It is the actual day-to-day work that nourishes the vision and passion. Those who regularly demonstrate all three elements of vision, passion, and action, are the ones who accomplish superior results. We see the elements of this formula every day, but often it is incomplete. It is the daydreamer who has passion and vision, but lacks action. The workaholic has tremendous action and passion, but without vision they eventually find themselves accomplishing things that are of no value to them. Those with vision and action but no passion accomplish mediocrity. Unfortunately, it’s this last group that probably best describes most of the people you encounter. To achieve exceptional performance, you need the magical combination of vision, passion, and action. I believe that those who can arouse and maintain the passion in others while sustaining it in themselves are distinguished as authentic leaders. The world has far too few of these people. You can begin to make a big difference. I found that after achieving a few of my own early goals, success began to become a habit. There were times when I felt so jazzed that nothing could’ve held me back. On the downside, I was slowly growing impatient with the people around me. It seemed to me that no one was moving fast enough. I was frustrated because as far as I was concerned, other people were not accomplishing much and it started to tick me off. What I needed to realize was that other people were not making the same self-discoveries that I was. I soon learned I had to change my approach toward the people I interacted with. It wasn’t complicated and only required the investment of well-spent time. For me, helping those who want to work on their own personal development feeds my soul. One of the greatest ways you can begin making a positive difference is by first helping others rediscover their passion. Start by asking one question that combines a servant leadership mentality with a focus on results. I call it, “The Power Question” because it carries a lot of clout. It contains the results-driven muscle of helpfulness, compassion, and empowerment in learning what is truly important to others. If you come across someone who is unfocused, ineffective or troubled, lost in a tizzy of disorder or stalled with confusion, ask him or her The Power Question. It requires them to slow down and assess how you and your abilities could best help them. You are forcing them to delegate a task to you that must be positive in nature or at the very least lead to a positive outcome. Once determined, honor their request — after all you asked for it. Accomplishing that mission will at a minimum make you feel like a million bucks because you acted unselfishly and will no doubt have been of great service to the recipient. With some people, you may need help getting them started. Begin brainstorming together and eventually you’ll both be able to come across a very good idea that will help the other person positively move forward. Those deep in disarray could give you an ill-conceived knee-jerk response. Just coax them gently with the clarification, “Will that best help you make a positive difference?” They will ultimately respond with what they think you can do for them, and they’ll appreciate the attention you’re giving them. If you ever find yourself stuck and unsure of what to do next, go to someone, anyone and ask The Power Question. You will always get an answer, and the request may surprise you. Acting on that request will serve to help move at least two people forward towards their goal. People of a certain age undoubtedly remember the yearly joy of watching the Rankin Bass television special, “Santa Claus is Comin’ to Town.” It’s the animated story of how Kris Kringle got his start, narrated by Fred Astaire with Mickey Rooney providing the voice of Santa Claus. There is great truth in that simplicity. People often make excuses as to why change is not possible. They fret over their personal concerns. They spend energy worrying about how they will conduct all the changes being asked of them. Eventually, they grow anxious, wondering what type of impact their efforts will have. The only thing all of this angst creates is inactivity. At the end of the day, all it takes it a little movement in approximately the right direction. I’m not advocating that you break out into a song and dance routine every time you offer to help someone (though if that works for you go for it) but being able to help someone when you are having difficulties is one of the best medicines available. Quite often the very act of helping another has the pleasant side effect of resolving your own troubles simultaneously. You frequently find your problem to be insignificant when matched against that of another. In some instances, time spent away from your problem gives your mind a chance to work on it — without your own well-meaning but solution sapping interruptions. Sometimes the lessons you learn while helping someone else can be applied to your own problem. Sincerely posing The Power Question will create both a positive and proactive feeling in yourself, the likes of which you may have never experienced before. Try to get in the habit of asking The Power Question of someone different every day. You’ll be enhancing relationships and in no time building a reputation as a helpful problem solver. Now, keep that momentum by asking a series of reflective questions that can provide a needed boost of passion that will ignite those you are helping and carry them forward. Keep probing until one or more of these three intrinsic motivators is revealed. When people can understand what motivates them, they can do more of it. If someone can identify with one of these motivations, they only need to recognize it and continue working on it in order to rekindle their passion. The next activity to help someone be more effective is to identify which learning style they prefer. People learn new things in different ways. Knowing which way they like best can make accomplishing new tasks easier. 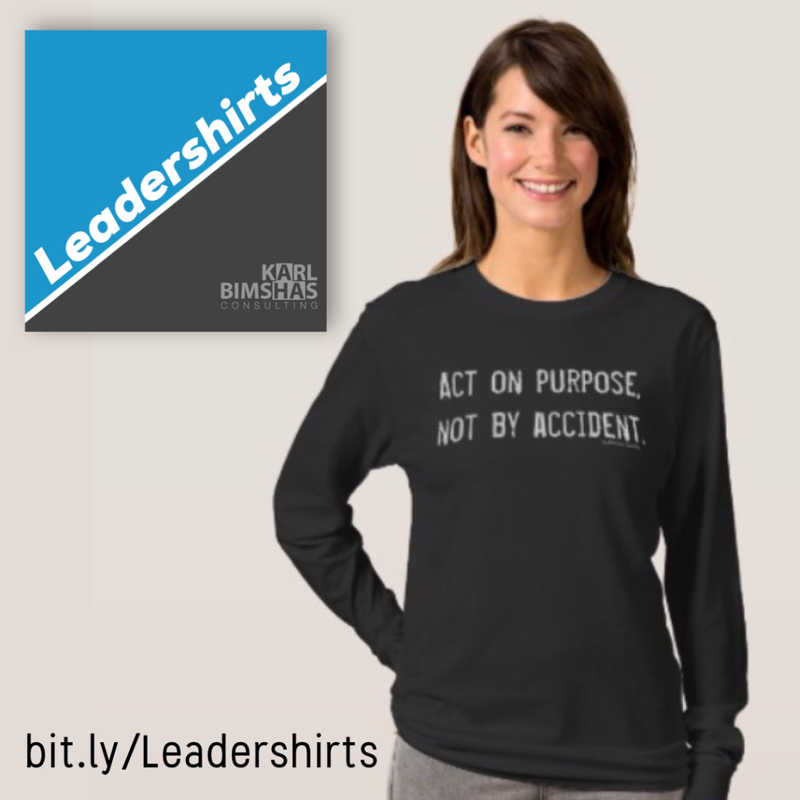 Action-Oriented: Are you likely to roll up your sleeves and get to it, preferring to learn through trial and error? People-Oriented: Do you like to confer with others who may have experienced the problem prior to you? Information-Oriented: Are you among the first to look for the training manual or some documentation you can refer to frequently? I’m a combination of an Information and Action Learner. When confronting a new task, I tend to skim any documentation then roll up my sleeves and start tinkering. If I get stumped, I’ll call on others for advice. Some people can choose one style very easily, while others have trouble picking from the three. If it’s hard to determine between two choices, either will probably be successful. This person has the flexibility of learning equally well regardless of the environment. However, most do have a preference. Customer Satisfaction – How satisfied are the people you serve? Employee Satisfaction – How do you treat those who help you serve? Profitable Revenue Growth – Money and the ability to make, save and reinvest it is a crucial part of any organization. The people who work on the things they most want to work on tend to get the most done. Find common themes that can act as a thread weaving several goals together and hold yourself and others accountable to the commitments being made. Be open to the answers and make it your mission to fulfill the requests of anyone who is brave enough to provide you with honest feedback. It doesn’t take as much to change the world as you may think. Anytime you interact with others; it’s impossible not to have any influence on them in some way. The first thing to do is define your world, or more specifically, your slice of the world. We are each given a figurative plot of earth to work with. Some are blessed with fertile ground while others are laden with rock and clay. We don’t always find them right away, but all of us are also equipped with the perfect set of tools for the job at hand. It is how we marry those tools with the plot we are given that will determine what each of us is able to harvest. Some hoard and some help. Some squander while others appear to make miracles happen. Those who “get it” soon realize that it is better to be flexible and adapt to changing conditions. In the end, it is about responsibility and how you choose to cultivate your own garden. If you are going to be an effective “farmer,” then you will probably encounter change, and you will need to help others change too. Not an easy task because most people dislike change. It can be very uncomfortable. I have found that I tend to resist change unless I am involved in creating it. That revelation allowed me to stumble into one of the great secrets of change. Get yourself involved and help others get involved. Always be prepared to lead change. The ride is usually more fun from the front seat. Be forthright and simply tell people what to expect. Knowing what the change is, helps people prepare for it. Those who create elaborate tales or engage in deceitful spin ultimately experience triple strikes. Three, they sabotage the change itself. Embrace what’s positive and present the facts. Deliver anything less than that, and you risk being swept under by a current of concern and confusion. Encourage all those affected to get together to foster a sense of camaraderie. When someone knows they are not the only one feeling uneasy there is quicker bonding with their cohorts. This leads to greater joint involvement in trying to cope with the shift to their routine. Think of how quickly college freshmen are able to form friendships, many that last a lifetime. They share a variety of experiences that bond them together. Once together, people may commiserate, struggle or become melancholy. It’s okay; let them have a little time to mentally give up whatever it is they need to in order to make room for the change. People tend to self-limit and focus on what can’t be done. Don’t let them fall into that snare. They may be tangled in a jumble of competing priorities, so cut through the net of negative beliefs. Eventually, they will sort through them and discover what’s truly important. Once the priorities are clarified, people will begin to doubt they have enough resources available to participate in the change. Your job is to help them find those resources, be they internal or external. Recognize that people change at different speeds, but they do change. Keep at it. Keep the focus on the goal. Make sure an old habit has been replaced with a new one and monitor the results. If you let up too soon, people will lapse into their old ways. Take care of your own house. Doing so exceptionally well will in no small part change the world in ways you may never fully appreciate. Apply these leadership lessons often, and you will soon learn that you can push back the ocean. Find purpose. Race for your goals and reflect once you achieve them. Be exceptional. Live with vision, passion, and action. Help others discover their passions and help them make a positive difference. 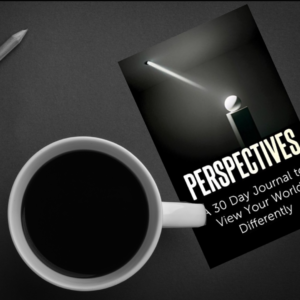 Uncover the motivating factors that keep you doing what you are doing. Make learning easier by using the style that is most comfortable for you. Take action on the areas where you can make the most significant contribution. Change a piece of the world. 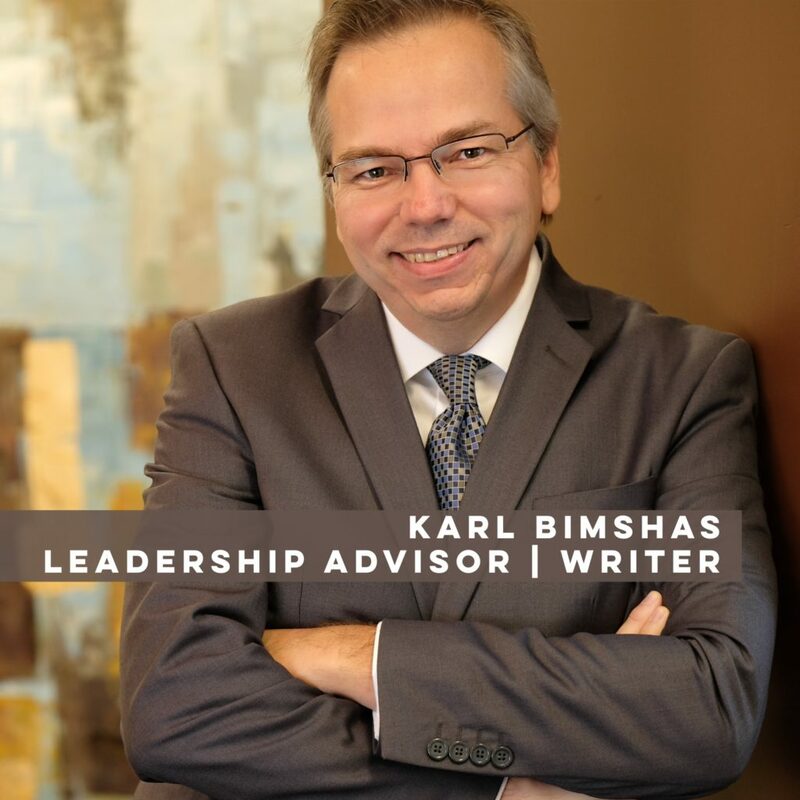 Karl Bimshas is the author of Pushing Back the Ocean; Tide Turning Leadership Lessons, first publishing in 2006. 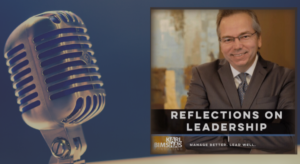 This and other titles on leadership and personal development can be found on Amazon.com or by visiting Karl Bimshas Consulting.